Out of tragedy comes hope. One woman brought some joy to Chennai, India, after she was airlifted to a local hospital and delivered healthy twins. 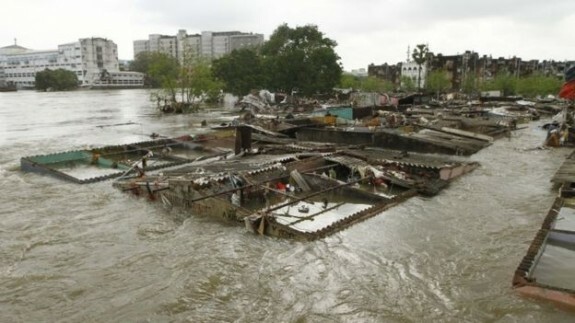 In early November, Chennai was hit with extreme rains and flooding occurred, displacing thousands of people from their homes and jobs. 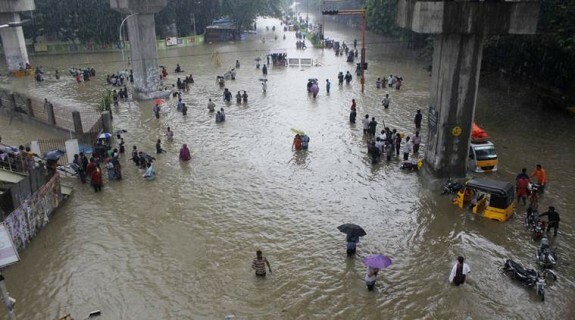 Residents had to be rescued by the Indian Air Force. Deepthy Velchamy was 9 months pregnant when she was rescued by the IAF on Wednesday December 2. Initially, she was evacuated, along with other residents and brought to the Tamabaram Air Base, which served as a halfway point between towns and flooded areas. She then had to be airlifted once more, two days later to the local hospital to deliver her twin girls. Karthik said, “She was rescued on December 2 and was nine months pregnant. I was in Bangalore when I received a call and reached Tambaram the next day. She then went in labour and had to be airlifted again to a hospital in Chennai. The two girls were born on December 4.” The IAF had become an incredible resource in the whole rescue mission, even helping out other expecting moms. Texas Baby Sets Records at 14-pounds, 13-ounces! Jennifer is a stay-at-home mom who spends her days chasing around the never-ending ball of energy that is her son. By night you can find her at her computer, drafting up her next great blog post about parenting with chronic illnesses. She is also an avid photographer and jewelry artisan. She is the founder of the Fibromyalgia support website, www.fibro.me, where Fibromyalgia patients can go to gain support, learn how to advocate for themselves, and spread awareness of this still relatively unheard of condition.